Malabar is the northern geographical part of Kerala, lying between the flanges of Arabian Sea and Western Ghats. It includes parts of Thrissur district, the districts of Palakkad, Malappuram, Kozhikode, Wayanad, Kannur, and Kasaragod. Malabar region is considered as the food heaven of Kerala. As part of our Malabar food fest event, in this post we are sharing five easy to make malabar snack recipes for your evening tea. 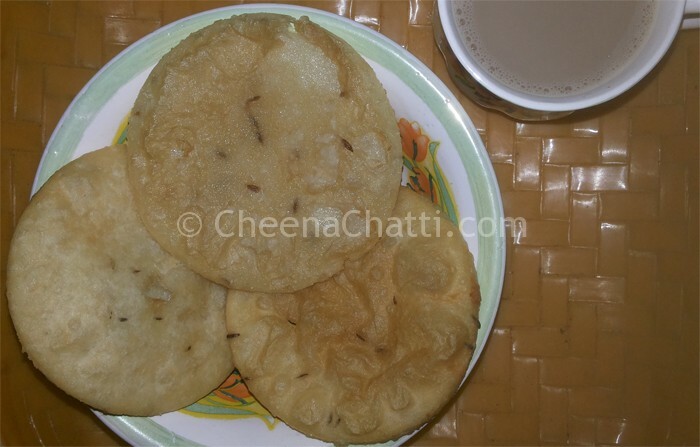 Malabar is famous for different types of pathiris like aripathiri, neypathiri, erachipathiri etc. Ney pathiri/ Ney pathal / Poricaha pathiri is a deep fried rice-bread which is prepared as a snack or breakfast dish in north Kerala especially in Kozhikode and Malabar regions. It is prepared by deep frying rice pancakes with onion, coconut and cumin stuffed in. Get the recipe for neypathiri from this page. Kalathappam also known as cooker cake is a traditional sweet snack from Kannur in Kerala. It is a rice cake or delicacy made of very simple ingredients like ground rice (brown rice), water, coconut oil, jaggery sugar, fried onions or shallots, coconut flakes and cardamom powder. Kalathappam is very tasty and healthy evening snack. Try our Kannur Kalathappam recipe now itself! Erachi pathiri is a traditional malabar muslim recipe. Erachi pathiri is fried bread stuffed with meat, which is very delicious and is usually prepared during the ramadan time, festival season or any special occasions at home. You can get our malabar erachi pathiri recipe from here. Pazham nirachathu is a a very popular snack, from Malabar, prepared by stuffing banana with sweets, grated coconut, nut mixtures and then dipped in a Maida batter and deep fried. One such banana is more than enough to fill your tummy!. Here is our recipe for malabar style pazham nirachathu. The last one for this list of malabar snack recipes is Kallumakkaya nirachathu, which is a speciality dish of Calicut. Also known as Arikadukka in the Malabar region, it is prepared by stuffing Mussels with a mixture of parboiled rice, spices and coconut paste, which is then steamed and then fried. You can get the traditional arikadukka recipe from our website. This entry was written on April 17th, 2018 by Jameela Beevi. Posted in Food collections and was last revised on April 17th, 2018. Why you should stop drinking soda or coke?